The sides and back of this short brown 'do are tapered into the head while the top is jagged cut to achieve texture and shape best suited to balance out a round face. This hairstyle can be worn either up and messy or flat and neat depending on mood or occasion. Product is needed for shine and hold. 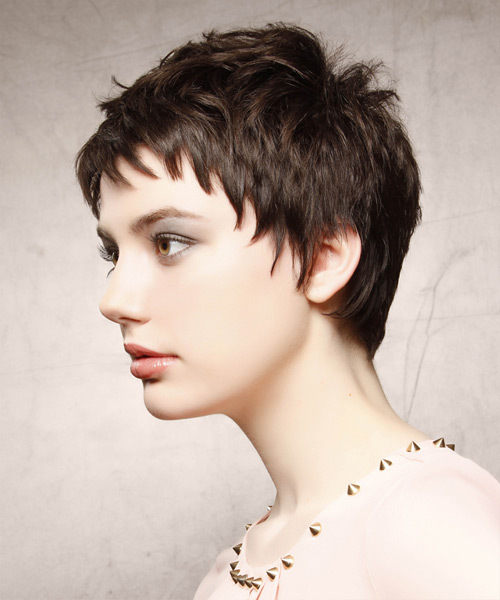 Use your fingers to add height and texture into this style and allow the products to dry naturally.